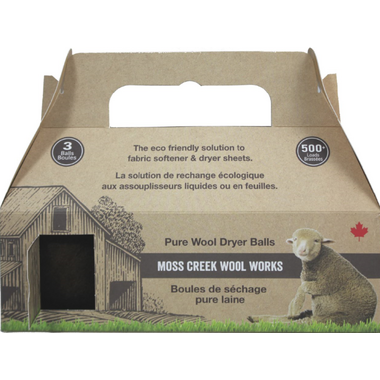 Hand Made in Canada, Moss Creek Wool Works Wool Dryer Balls are a nifty invention that will save you time and money! 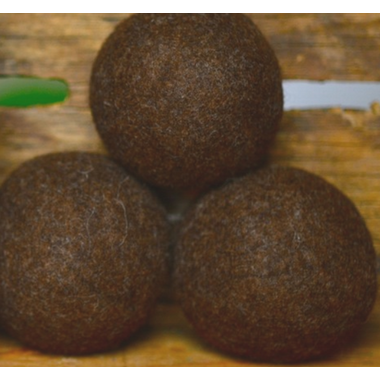 The balls are great and easy to use. I do wish they were a bit bigger. I use all three for my laundry needs. I also use essentials on the balls to give an added scent.